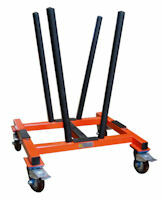 The V-Cart is a utility cart designed for storing and moving materials with ease. Its compact structure is designed with four heavy duty polyurethane swivel casters for maneuvering in narrow areas. 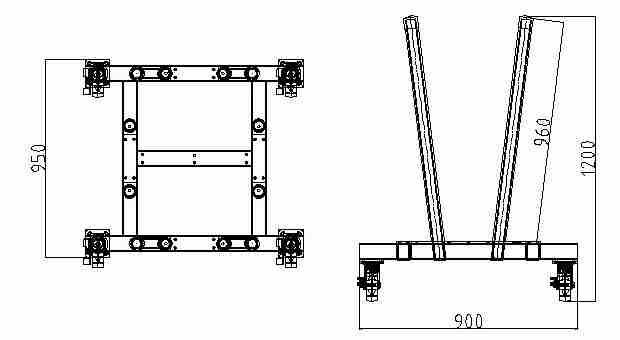 This cart enables positioning of materials in any direction for any purpose. The poles can be repositioned in the base to meet your needs. Its durable construction adds stability when handling heavier materials. The rubber lined base and poles protect materials from chips and scratches.